When it comes to cigar smoking, you need more than just a cigar. You need a lighter and a good one! We’ve all been in that frustrating experience of trying to light our premium cigar or machine made cigar and not being able to. In order to have an enjoyable smoking experience it is important to choose a high quality cigar lighter. We understand that the price must fit your budget. That’s why we have lighters in a variety of price ranges. There are a lot of lighters out there and even if it seems like there is not much to think about when buying one, you would be surprised. What you should consider when buying a lighter is what type of cigar you want to smoke and where. The decision you make when choosing your cigar accessory will positively or negatively influence your smoking experience. Every one of us has our own way to light a cigar, whether we use matches or lighters. Believe it or not, lighting a cigar is a hard nut to crack. It takes practice and patience to achieve the perfect light. Some people prefer using matches instead of a lighter. If you are one of them, try to get extra-long, wooden matches with sulfurless heads. We recommend these since sulfur will add an unpleasant flavor and can completely alter the essence of your cigar. Often used as a cigarette lighter, this type of lighter is not recommended for lighting your premium cigars. The fluid used in this type of lighter can leave an odd flavor on your cigar and can completely affect the taste of your smoke. Torch lighters are designed for premium cigars. They use butane or propane fuel, which help the cigar burn at high temperatures thus delivering the perfect light. Torch lighters feature a rapid ignition, are wind resistant and are refillable. Their flame is odorless, so you don't have to be worried about altering the essence of your cigar and losing the tasty flavor. Here at Gotham Cigars, you can find a variety of torch lighters including single, double or triple flame lighters. 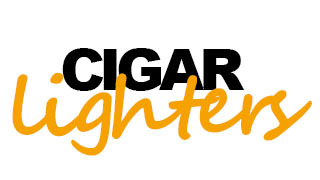 We offer Torch Lighters from following brands: Xikar, Lotus, Macanudo, Arturo Fuente and Alec Bradley. Browse our selection and choose a lighter that fits your needs!